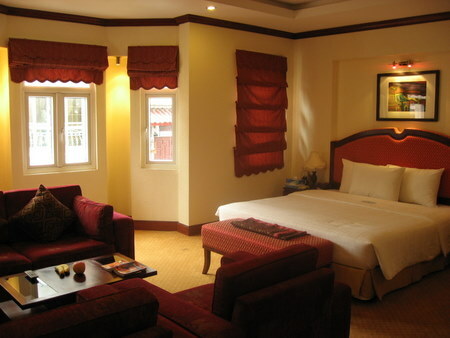 Hanoi has hotels for all budgets, although booking ahead can be important to get the best rooms. Prices are a little more expensive for backpackers than elsewhere in Vietnam, but there are some nice options if you want to splash the cash. I’ve been to Hanoi several times in the last few years, first as a backpacker and then on weekend breaks where we’ve spent a bit more on posh places. 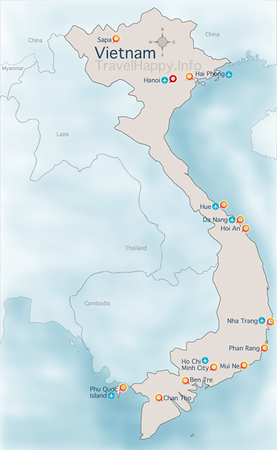 Hanoi has plenty of hotels to cater to both ends of the market, with most tourists opting to stay in the Old Quarter. Be warned – it’s pretty noisy all the time from bike engines and horns in the Old Quarter, so if you are a light sleeper take earplugs. Have a read of Where To Stay In Hanoi to get a sense of the city’s layout and my Hanoi Quick Guide for things to see and do. There’s more reviews of Lucky Star on Tripadvisor. Brand new hotel with excellent location on one of the Old Quarter’s nicest streets. A more upmarket place with a choice of room sizes. A lot of thought has gone into the services of this hotel: Free wireless internet that’s superfast, breakfast included in their 8th floor restaurant which has nice views over Hanoi’s rooftops, and good staff service. We splashed out and stayed in one of the executive suites, which was big and with its own sofas, widescreen TV with satellite channels. Despite double glazing on the windows, it’s still pretty noisy from the streets, although you can get some great photos just by leaning out the window. You can read more reviews of the Hoa Binh Palace Hotel at Tripadvisor. There’s more reviews of the Hanoi Hilton Opera at Tripadvisor.